After winning his first Super Bowl, the Colts quarterback wants to show that he is "the same guy"
Peyton Manning still has something to prove this week, after all. Just three days removed from a career-defining victory in his first Super Bowl appearance, the thought of Manning having to prove anything at this point seems far-fetched. This year's Super Bowl MVP already owns his share of NFL passing records and is presumably well on his way to setting many more. But more important than the numbers, he silenced his doubters by finally pushing the Colts over the hump to their first championship since moving to Indianapolis, winning the big game many critics said he couldn't. Today's events: Festival at Kapiolani Park, noon to 6 p.m. Tomorrow's events: All-Star Block Party in Waikiki at Kalakaua Ave, 7-10 p.m. 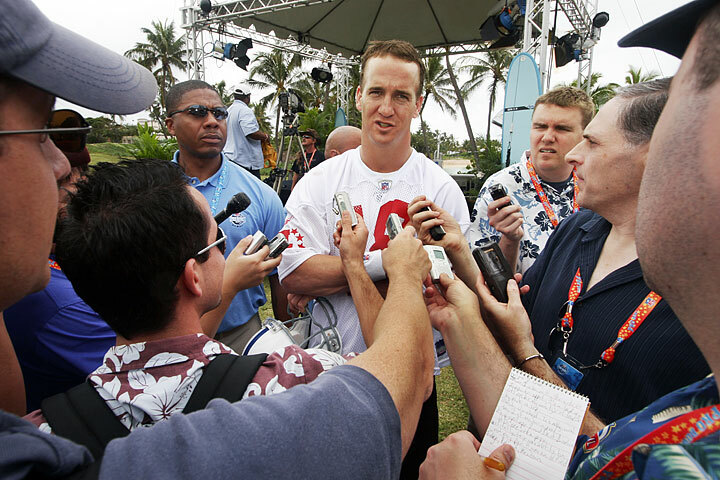 So what could Manning possibly have to prove in his seventh Pro Bowl appearance? "My whole goal all week is to prove how I'm very much the same guy and that's who I am," Manning said. Manning and four Colts teammates, including first-timer Reggie Wayne, took the field yesterday for their first practice with the AFC squad as they get set for Saturday's Pro Bowl at Aloha Stadium. It has been a whirlwind tour for Manning since the Colts' 29-17 victory over the Bears in Super Bowl XLI. After celebrating into the wee hours of Monday morning in Miami, Manning hopped on a plane back to Indianapolis for a parade in the city. A day later, he flew to Hawaii for the annual all-star game, in which he has become a fixture. Only this time, he was finally one of those who got to skip the week's first official practice. "I always have noticed that Tuesday practice where the champions aren't here yet and I said it would be nice to come over here late one time," Manning said. After arriving late, Manning found some time to hang out with Minnesota Vikings offensive lineman Steve Hutchinson, who is a good friend. As the two were sitting together talking, Hutchinson looked at him out of the blue and said, "You've changed." "Steve, seriously there's nothing more you could say to me to make me madder," Manning replied. "Tell me how I've changed." Sure it was just a joke between two friends, but it's clear that Manning doesn't want to be seen as anything different. 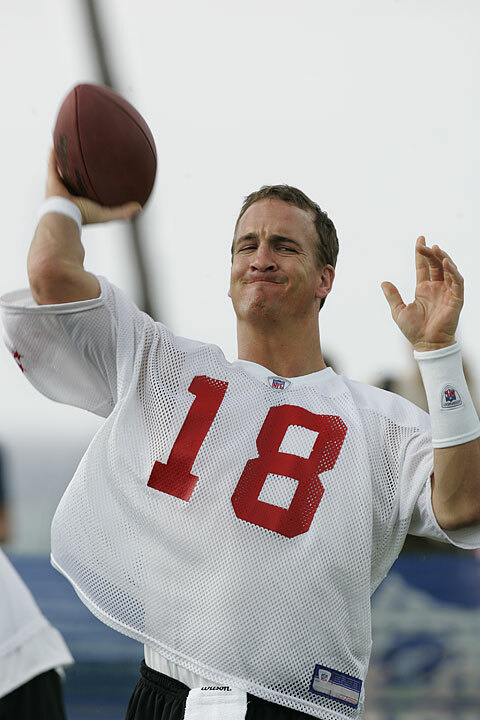 Yes, he will have a ring to finally put on his finger, and he'll probably be showcased in a few more commercials, but at the end of the day, Manning will still be the same guy to arrive early to training camp, hang out late after practice throwing balls to Wayne and Marvin Harrison, and enter next season with the same drive and fire to once again be Super Bowl champion. "He's the same guy regardless," Colts center Jeff Saturday said. "I don't think he ever felt a greater pressure to win. 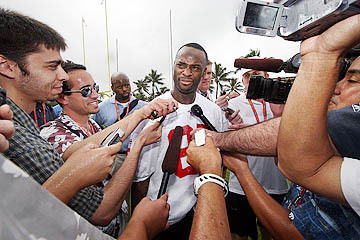 He wanted to win the Super Bowl for his team." While the team has some questions to answer before it begins its defense of a championship -- running back Dominic Rhodes and outside linebacker Cato June are two key free agents -- the Colts still will have a talented offensive line and three of the best offensive players at their positions, including Wayne, who finally earned a Pro Bowl nod after putting together his third consecutive 1,000-yard season. "I got the opportunity to shake everybody's hand that's the best in the league, and everyone is congratulating me at the same time, so it's a great feeling," Wayne said. Wayne, who is one of six University of Miami alums selected to this year's Pro Bowl, returned to his old stomping ground and hauled in a 55-yard touchdown pass from Manning midway through the first quarter of Sunday's Super Bowl, which was played in Miami. The touchdown helped to answer Bears return specialist Devin Hester, another Miami alum selected to the Pro Bowl, who opened the game with a 92-yard kickoff return for a touchdown. The two didn't take long to make an impact in a game that was special for both because of where it was played. "You can dream of having a big catch or whatever, but just actually being there and having it happen is kind of different," Wayne said. "My whole thing was just to make sure I catch it and finish the deal." He did, and so did the Colts, who after years of dominating regular seasons followed by severe playoff disappointments, finally broke through when it seemed they were the most vulnerable they had been entering the playoffs in a long time. "It has been such a roller coaster through the season that when we finally accomplished that goal together, everybody was as one," Saturday said. "It was as unified a team as I've ever been on."